During winters, it is not just about how well you cover yourself with layers of woollen clothes, but also what you consume that can help you stay warm. There are certain foods, spices and drinks that you can include in your diet, which can generate heat in the body naturally. These foods and dietary additions are particularly useful for those who don't cope with low temperatures very well or those who may have low immunity. Such people perpetually need to accumulate body heat from external sources, but these may prove to be ineffective in low temperatures. As the mercury dips in a number of parts around the world, it is important for people to take some dietary measures to ensure that the body stays warm from inside. Figs, or anjeer, is a great example of dried fruits that can help you stay warm during winters. 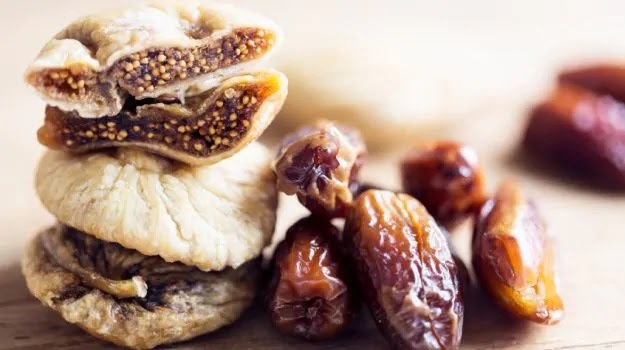 Another excellent dried fruit to consume during winters is date (or khajoor), which is commonly consumed in India, by adding it to warm milk. Figs and dates are rich in calcium and iron and are both warmings in nature. They also boost body energy.